The highly anticipated 460 FLY brings back all the ground breaking innovations of the award winning 500 FLY in a more compact frame. This daring, new design clearly shows the bold path Galeon has taken to propel its yachts into the future. 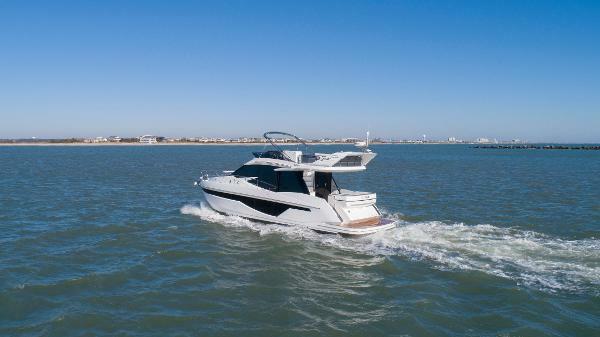 Once again fitted with an automatic bow settee area that swiftly morphs into a sundeck, cockpit roto-seat, and everyone’s favorite feature – the Beach Mode, be sure the 460 FLY will make the most of the space available on board. 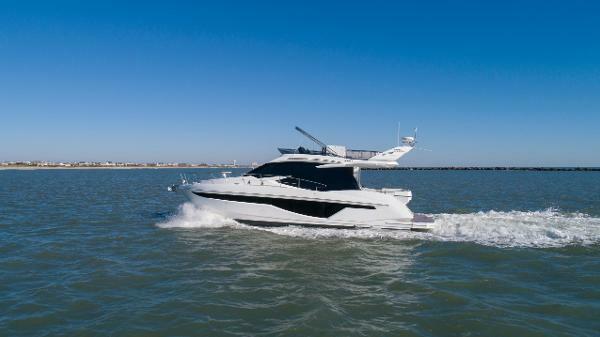 Inside, find yourself in a world of luxury with a quality finish all Galeon yachts are known for. 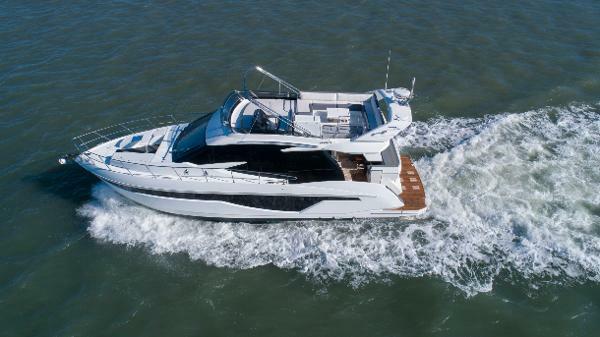 Customize the interior with a variety of available woodwork and fabrics and select from a wide range of available options and equipment to truly make it your own. Guest can be entertained on the main deck that features a dining area and a full sized kitchen or take respite down below in one of the three cabins.